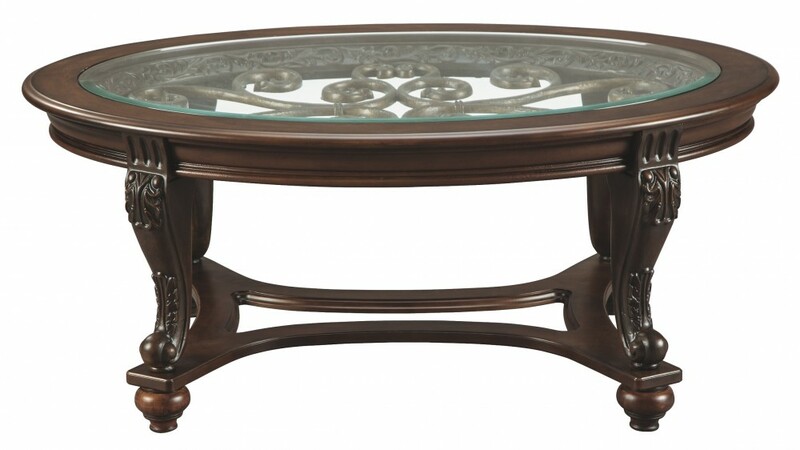 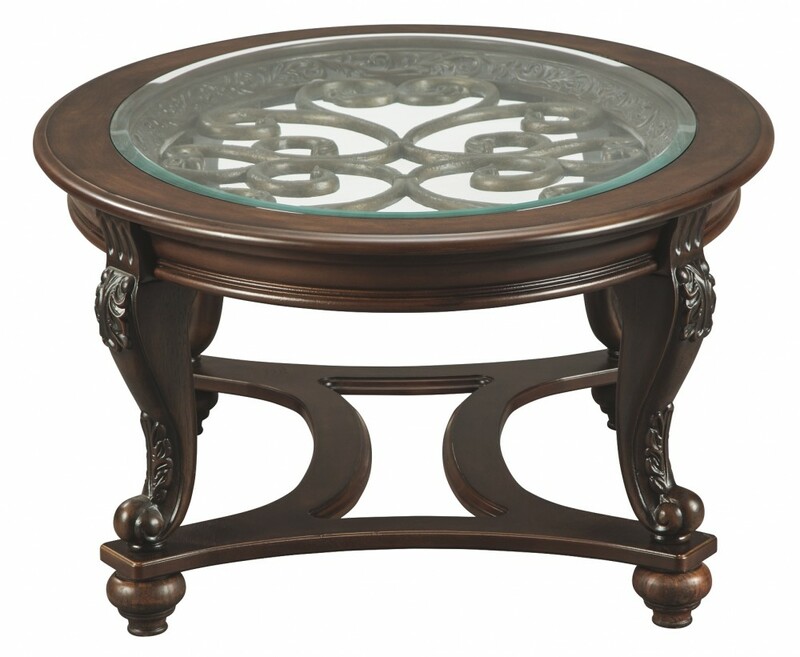 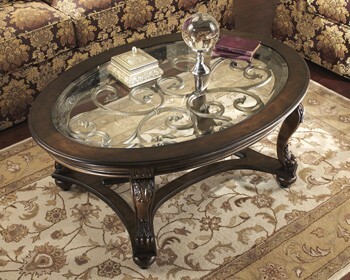 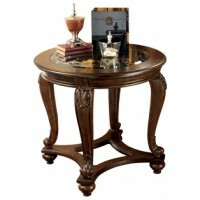 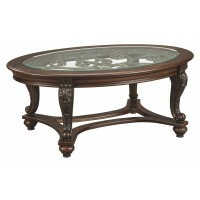 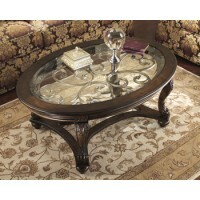 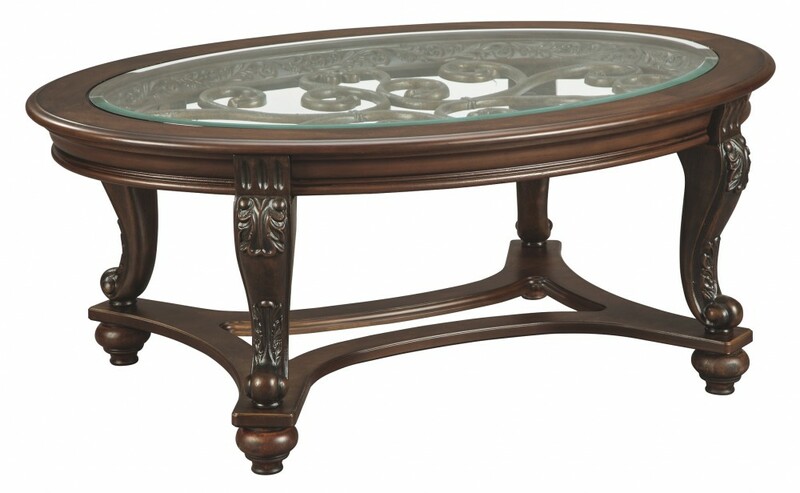 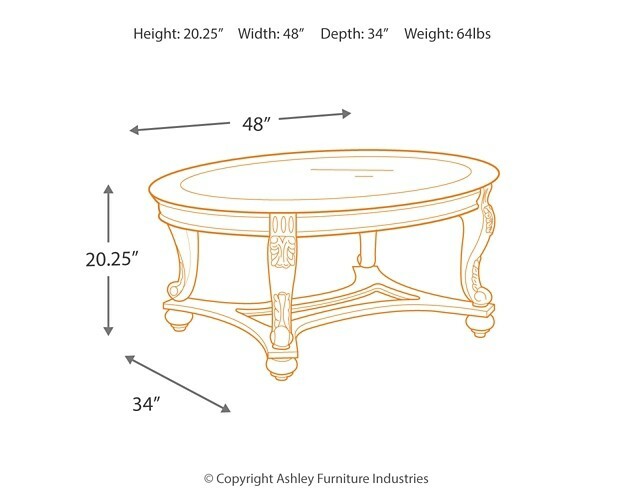 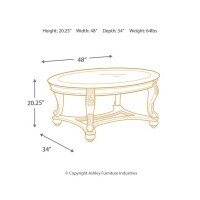 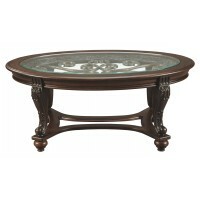 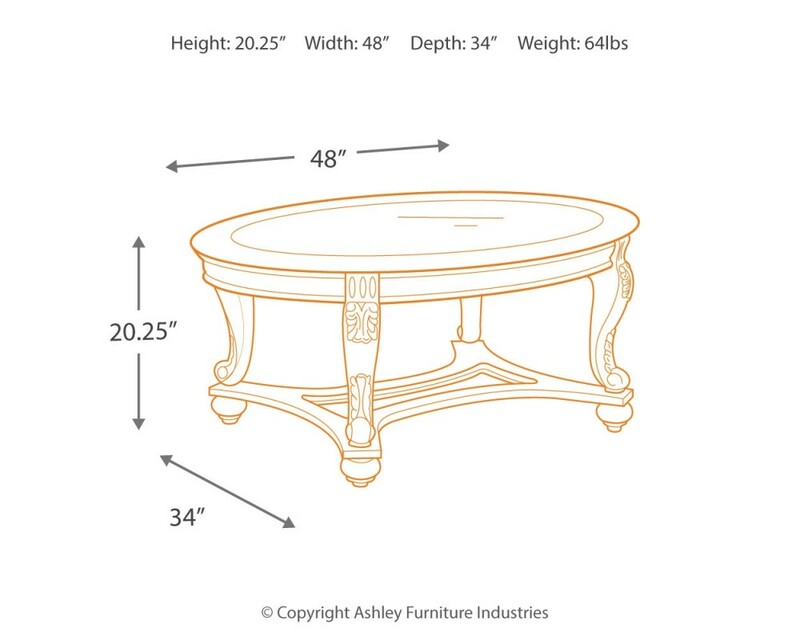 This oval coffee table deserves a toast for incorporating so many elements so seamlessly. 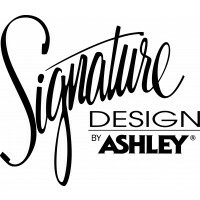 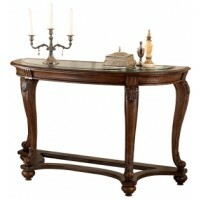 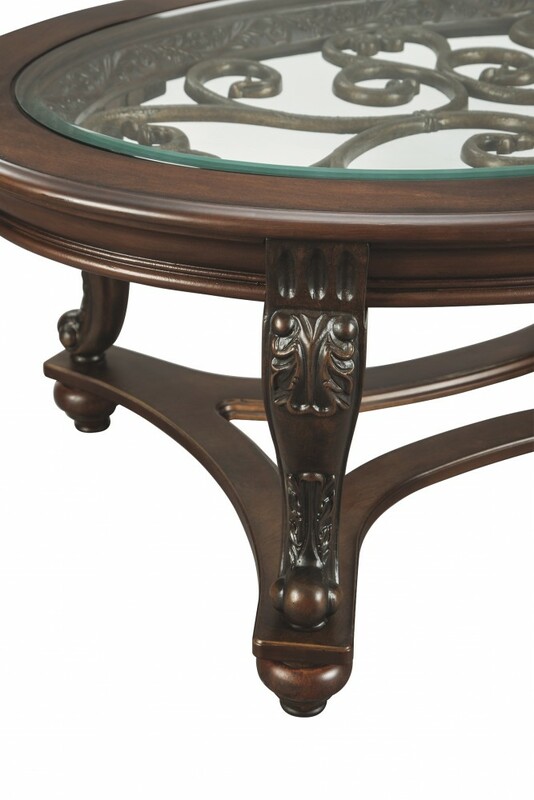 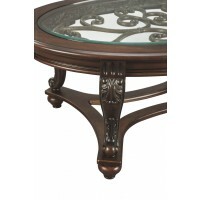 Swirls of metal accents add a lovely dimension under a beveled glass inset tabletop. 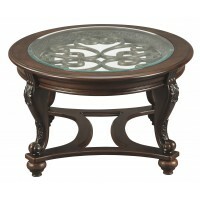 Their fanciful pattern is echoed in the carvings and curves of the richly stained legs and stretchers.